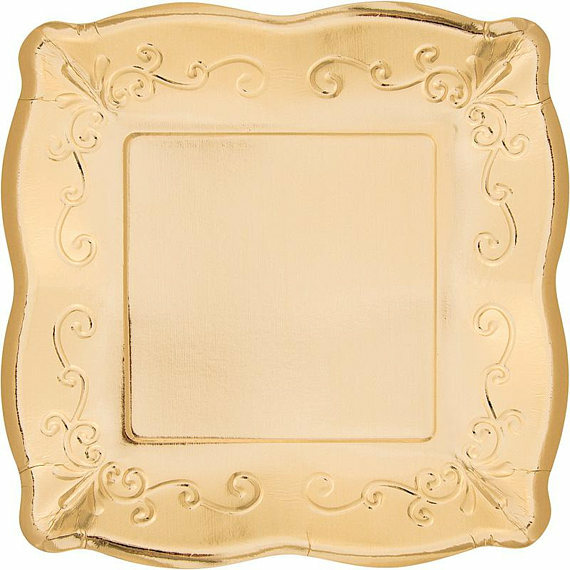 These fancy metallic gold paper plates trimmed in a scalloped edge and embossed elegant detail are perfect for an chic soiree! Solid gold metallic dinner paper plates inspired by fine pottery with the convenience of paper ware. A beautiful shape to complement your stylish or wacky decor!